One of Europe's top airlines is fighting for its life. Shares in Air France-KLM (AFLYY) crashed as much as 14.5% on Monday after the group's CEO quit over a pay dispute and the French government said it would not intervene to help. France's finance minister, Bruno Le Maire, told CNN affiliate BFMTV on Sunday that the labor dispute "threatens the survival of Air France." 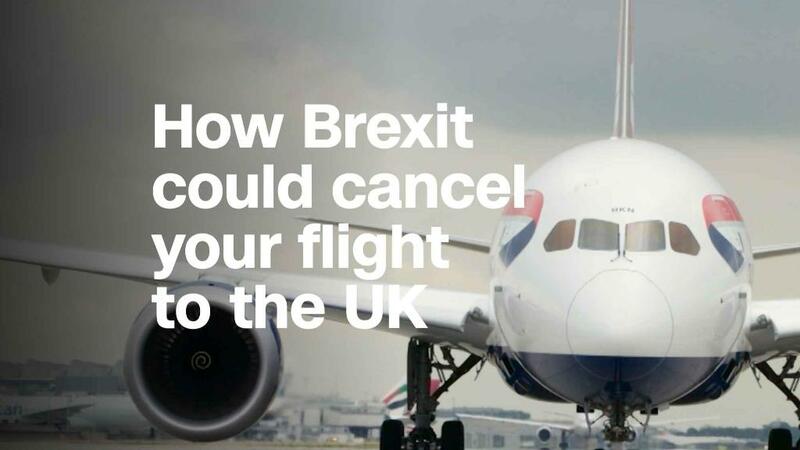 He also said that the French government, which owns 14.3% of the Air France-KLM holding company, would not provide the carrier with a bailout, according to BFMTV. In a statement on Friday, CEO Jean-Marc Janaillac said he would quit in mid-May after tens of thousands of French staff and pilots voted against a multi-year pay offer. Air France is the world's 17th largest airline in terms of passenger trips, according to the International Air Transport Association. The inclusion of KLM, which Air France bought in 2004, makes the airline group one of the biggest in Europe. The carrier said on Friday that 13 days of strikes by its staff had already cost it about €300 million ($358 million). Air France-KLM posted a first quarter operating loss of €118 million ($141 million) last week, attributing €75 million ($90 million) of that loss to the strike impact. Labor unions have scheduled more strikes, leading the French airline to warn that it would cancel about 15% of its flights on Monday. Analysts said the airline wasn't in immediate danger of collapse. "I don't think there's the immediate threat of Air France going out of business," said Johannes Braun, an airline analyst at asset manager MainFirst Bank. Braun said that while first quarter losses looked bad, the airline has a relatively healthy balance sheet and is expected to turn a profit in 2018. The unions are seeking a better pay deal because the carrier is in better financial condition than in previous years, he said. Air France has offered workers a 7% pay rise over four years. "It is pretty generous," said Braun. "If management ... do not have the leverage to put pressure on the unions, at the end I guess we will see an ambitious wage deal, which will increase costs." Daniel Roeska, an aviation analyst at Bernstein, said the CEO's "untimely departure will serve as a wake up call for politicians and the management in France." Janaillac has led the company for less than two years. Air France is no stranger to angry labor disputes. In 2015, protesters ripped the shirts off Air France executives after the company revealed plans to cut thousands of jobs. Apart from the French government, other big investors in Air France-KLM include Delta Air Lines (DAL) and China Eastern Airlines, which each own a stake worth 8.8%, according to FactSet data. -- CNN's Stephanie Halasz contributed reporting.